Audience announces its ClairAudient The ONE computer speaker. 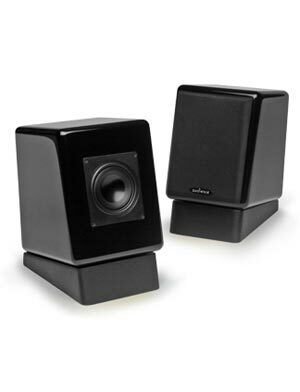 At 7-inches high by 5.5-inches wide, The ONE loudspeaker is the smallest model in Audience’s ClairAudient speaker lineup. 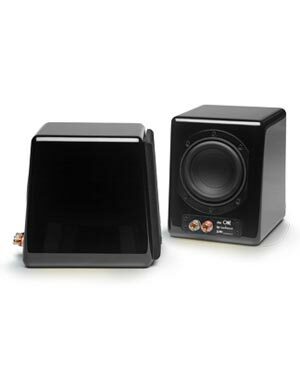 Ideal for desktop computer audio, surround sound home theater, or compact high-end stereo systems. John McDonald, presiden of Audience says that The ONE represents the companies efforts to make the finest small speaker possible. The ONE uses Audeience’s exclusive A3-S full-range driver. The A3-S is said to deliver an expansive soundstage, impressive dynamics, and pure music. The A3-S full-range driver of The ONE is found throughout the Audience ClairAudient loudspeaker lineup, but The ONE also incorporates a purpose-designed passive radiator. With 12mm of excursion, the single ultra-low distortion transducer, eliminates the issues with phase distortion, transient response degradation, that multi-driver speakers have. 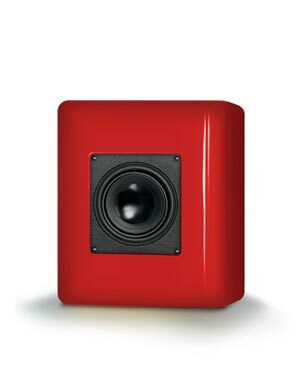 Available in a choice of high-gloss finishes including black, red, white and blue with black grilles that attach magnetically to the speaker. “Even off axis, The ONE is uncanny in its ability to sound more like live music and less like what we’re accustomed to hearing from a stereo system,” McDonald noted. The ONE’s full-range driver is direct-coupled to the amplifier it’s connected to, because there is no crossover. The benefit of this is that it enabls the full damping factor of the amplifier to be directly applied to the A3-S driver’s voice coil. This allows for a level of control over the driver that is not possible if a crossover network were present. The ClairAudient The ONE employs the highest-quality parts throughout including low-mass binding posts and Audience Ohno (monocrystal) Auric internal wiring. The ONE presents a benign load to an amplifier, resulting in compatibility with a wide range of tube and solid-state amplifiers. The ONE is said to be flat from 50Hz to 20kHz. Currently available in Black and Blue finishes with an MSRP of $995 per pair in black and blue finishes; white and red finishes will be available soon (to be announced). Available accessories include desktop stands at $75 per pair and Audience Ohno speaker cables at $199 per 3-foot pair or $249 for a 5-foot pair. All Audience products are manufactured in the United States of America. I have a pair of the Blue ones coming in for review. John is surely excited about this little speaker. I have to admit after talking with him, I’m all excited about reviewing a $1000 speaker. The ONE promises to be amazing. Point source audio with no crossovers! I’ll be in heaven. Hard to justify 1000 dollars for a small cabinet, one driver and, no crossover with a passive radiator. Lets see this in the 500 range and you’ll make up for the margin in volume.